Your skin is your body’s largest and fastest-growing organ. The skin is your body’s coat! It protects you. So this summer, keep your skin protected with these summer skincare tips for runners! 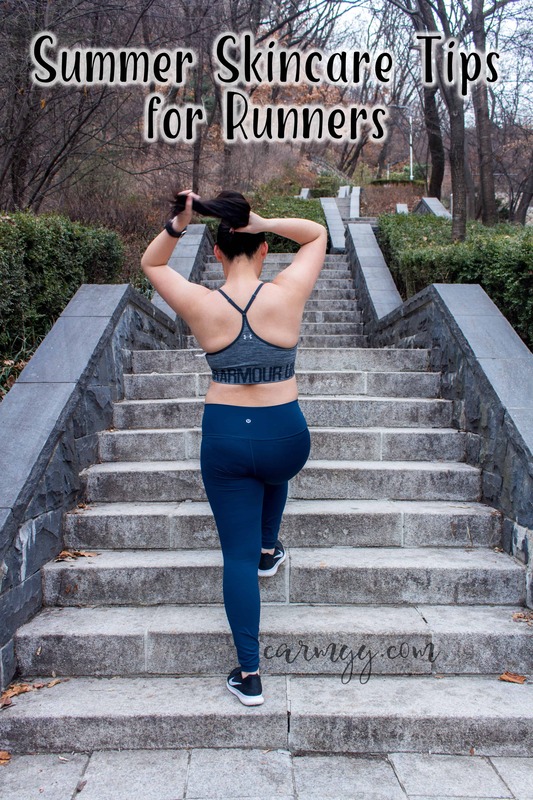 With summer sneaking up on us so quickly, I find that it can be easy to go out on a run and forget about the damages that the sun’s rays can cause. 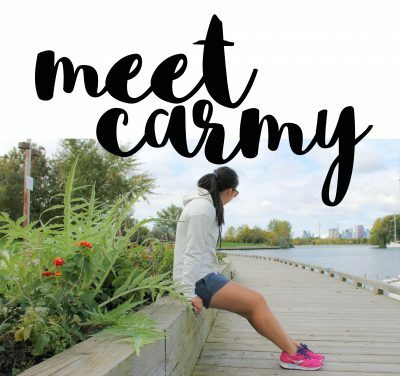 Here are some of my go-to summer skincare tips for runners as a skincare obsessed girl! During the winter, I would always run during noon so I’d be the warmest but now that it’s summer…it’s definitely not something I’d recommend. Even if it’s not super hot where you live, it’s when the sun is beating down the hardest on you and will cause the most damage. Avoiding the sun itself is the best way to protect your skin. Did you know that there are running clothes designed with a higher UPF (Ultraviolet Protection Factor)? Wearing sun protectant is one way to keep your skin protected. I’d also recommend a hat and sunglasses. The skin under your eyes very very thin and delicate, almost 10 times thinner than the rest of your skin (this is why it is recommended that you pat on the product with your ring finger when dealing with your undereye). According to Julie Woodward, M.D., chief of ocular facial surgery at Duke University Medical Center, “the skin around your eyes represents less than 1 percent of the skin’s make-up, but 10 percent of skin cancers occur in that tiny area,” so you’re going to want to make sure you not only protect that area with sun screen but make sure you have glasses on top of that for some extra protectant. In addition, according to this article from Competitor Running, “eyes are most susceptible to UV ray exposure from 8 a.m. to 10 a.m. and 2 p.m. to 4 p.m., both peak times for runners to be out on the roads and trails. This exposure comes from the angle of the sun and how the UV rays reflect off of surfaces. 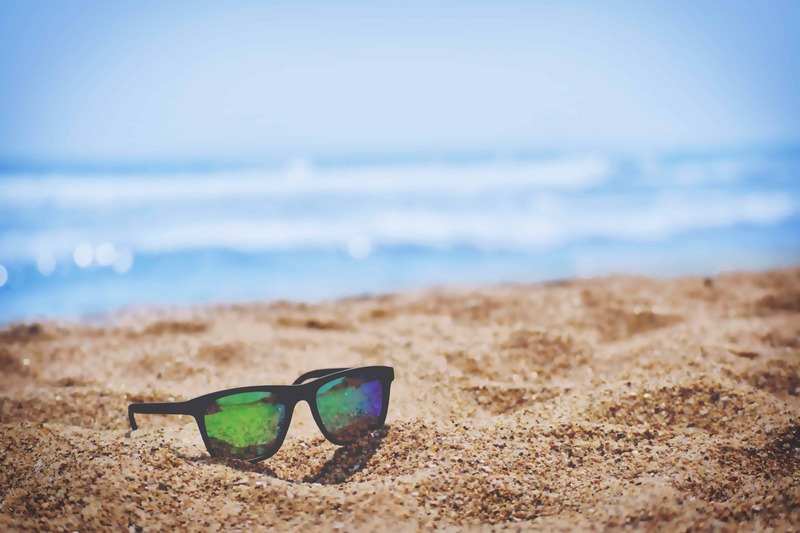 The Vision Council reports that sand and asphalt can reflect up to 25 percent of the UV rays.” So do some double duty with those sunglasses and protect your undereye area and eyeballs by putting on a hat and sunglasses. Duh right? While it’s obvious to remember to put on sunscreen, the type you put on matters too. You have to make sure that the sunscreen you pick is waterproof/sweatproof since it’s easy to sweat a bucketload on a hot summer day, you don’t want your sunscreen melting off half way through your run. You also need to remember to apply it to the rest of your body, and not just your face such as high burn areas such as shoulders! I know there are people who there who “don’t burn” but while you don’t burn, your skin itself is being damaged by the UV rays. Remember, your skin can still tan (another reasoning I here) even with sunscreen on. So put it on folks. While a nice summer tan can be cute, skin cancer is not. Don’t @ me. I wasn’t joking when I said I came home from Korea with a luggage filled with face masks. After long runs, I spend the evening with a sheet mask on my face to add an extra boost of moisture back to my skin. I love using Mediheal masks. Do you have any summer skincare tips you’d like to add? hehehe, is it sad that part of the reason why I really want to go to Korea = I wanna check out all their skin care stuff? Sunscreen is definitely my #1 go-to for skin care though!